Mary MacADNski: I was aiming for that..
J'aime beaucoup le bruit des vagues. Mary MacADNski: I do too - and the look. Mary MacADNski: Perhaps you should come back. The music is very nice. Lovely capture on those waves! Mary MacADNski: Thanks. The music is restored and I am thinking you might like it. Mary MacADNski: It is a delight to live on an island surely but growing up inland, I still feel the call of deep woods. The call of the sea is magnetic, Mary, even when you can't hear it. Mary MacADNski: The muisc is restored - James Taylor. Mary MacADNski: I was talking about that with my companion that day. I can sense, hear and smell the rushing sea! Mary MacADNski: Thank you for that is the point of Watery Wednesday. Mary MacADNski: They were awesome that day and the tide was rising fast with the strong wind. Oh my, you set me drooling. In a short while I will travel 1200kms to be at the beach side for a shortish summer holiday. Mary MacADNski: Oh my! That is a long way. So funny that you and lots of other people in the world are readying for summer holidays. Lovely colour in the water Mary. Mary MacADNski: The water was beautiful that day. Nice action in the waves. Mary MacADNski: I was mesmerized with them. I can almost sense the sound of the waves breaking on the shore. Mary MacADNski: It was a quick incoming tide as the wind was blowing in the same direction, a hot wind. This was the last Saturday in November and it was warm but windy. 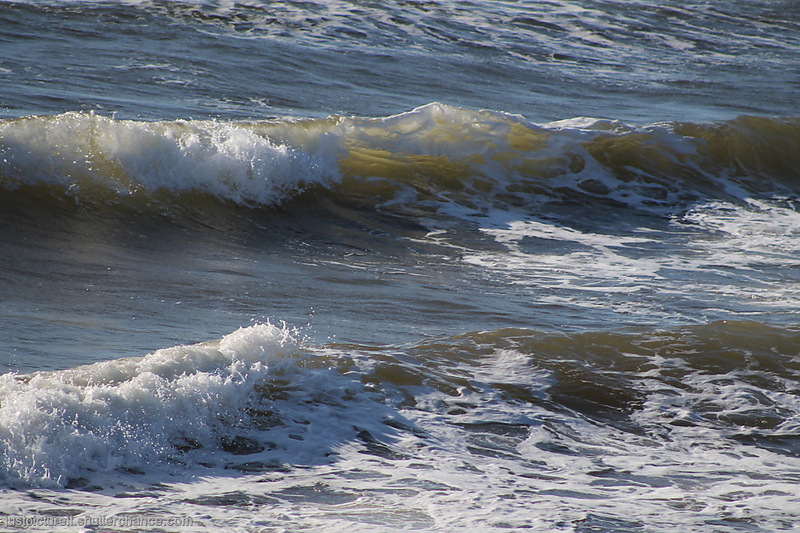 Always a delight to sea the gentle rolling waves, The power of sea can be quite frightening in a good storm. Mary MacADNski: I could watch waves forever. My daughter has arrived in their Mexico home for Christmas. The highlight of the town is its waves - famous for surfers.